Very little is known about quartz patches in the Overberg. 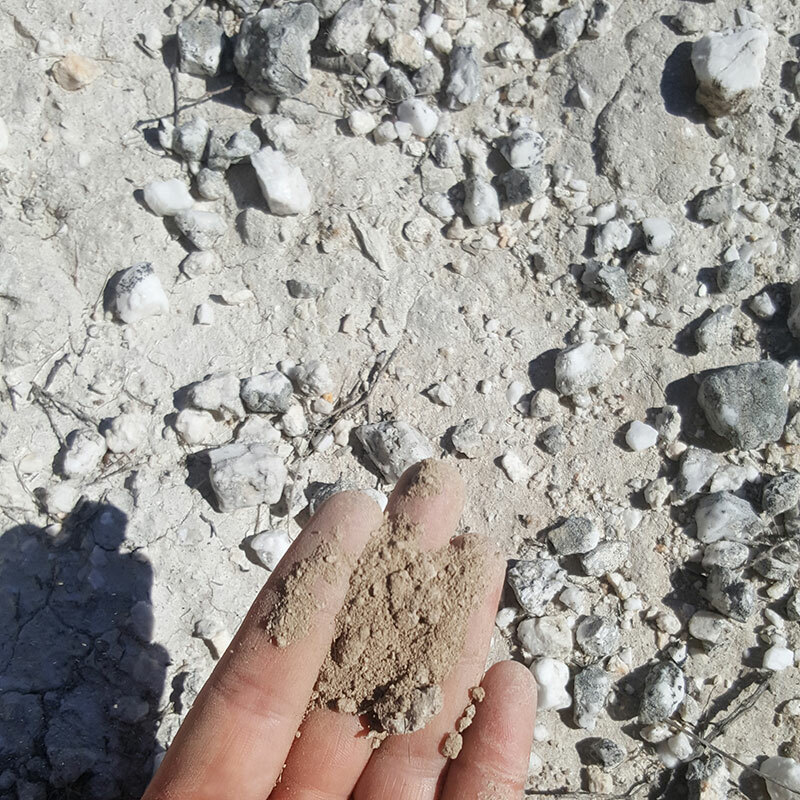 These are unique islands of white quartz pebbles found in Shale and Silcrete Renosterveld. In recent times, at least SIX NEW SPECIES endemic to these quartz patches have been found – including species discovered by our own Executive Director, Dr Odette Curtis-Scott. Now we’re trying to better understand the plant communities that grow here, and why. And that’s why the Overberg Renosterveld Conservation Trust’s Jannie Groenewald is taking a closer look at them, as part of a collaborative research project with UCT. And he’s made a number of interesting findings already. You wouldn’t usually find common Fynbos families, Ericas and Proteas in Renosterveld. Instead, Renosterveld has the highest geophyte (these are perennial plants with an underground food storage organ, like a bulb) diversity on Earth. And yet, quartz patches host groups of plants similar to Fynbos. These include Ericas, Proteas, as well as Restios. This is very different from the surrounding Renosterveld. 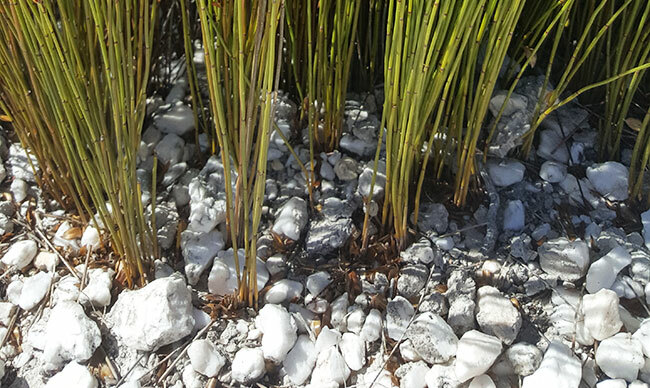 Jannie says that quartz patches lack certain essential elements – like the nutrient-poor Fynbos soils. And that may limit the growth of widespread Renosterveld species here. So instead, you find a microhabitat of Fynbos-adapted lineages in the patches. 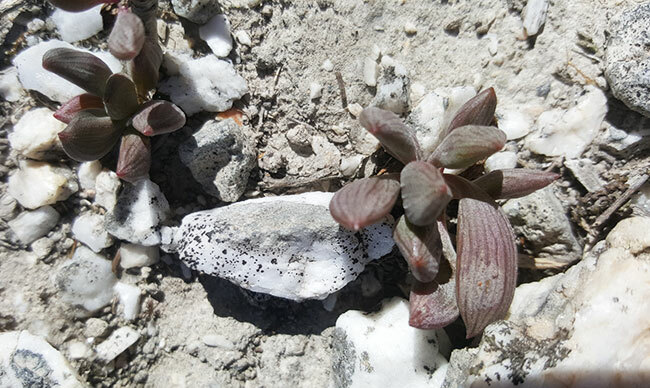 In fact: quartz patches are so different and unique that they could perhaps be formally described as a vegetation type separate from Renosterveld, he says. Clearly more studies are needed on these patches, especially to design the best possible management programmes for these unique areas in terms of fire and grazing. But for now, Jannie says, anecdotal evidence shows high grazing has a negative impact on quartz communities. On the other hand, fire and a complete halt of grazing could lead to Renosterveld species outcompeting the quartz endemics. Most quartz patches are found on private land – and are completely inaccessible to the public. Haarwegskloof Renosterveld Reserve (the home of the Trust between Bredasdorp and Swellendam) provides for beautiful quartz patches, as part of a hiking trail. 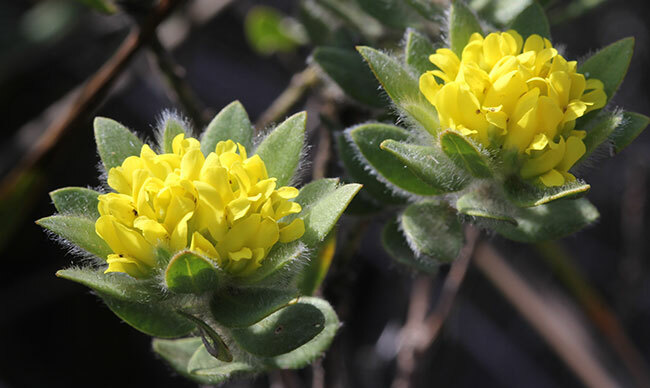 Here you’ll find special and endangered species like the Xiphoteca guthriei, Drosanthemum quadratum, Polhillia curtisiae and Protea decurrens. For more info on this reserve – the only one of its kind on earth, click here.